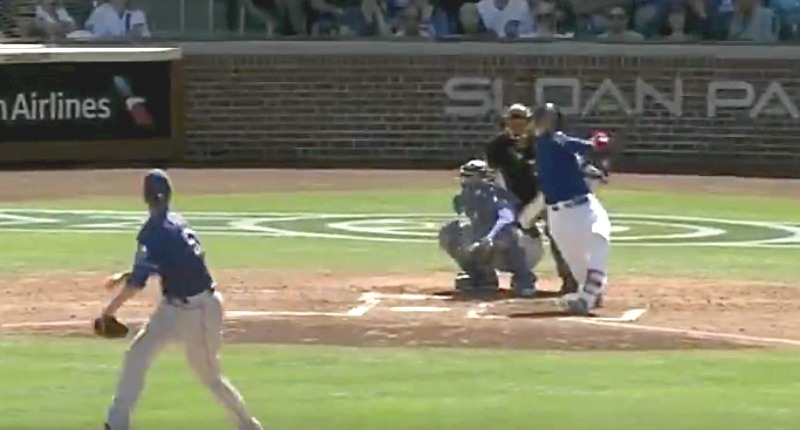 WATCH: El Mago's First Homer of the Spring! WATCH: El Mago’s First Homer of the Spring! Javier Baez has had a mostly quiet Spring Training so far this year, but that matters very little to an established guy like him. For now, it’s really all about getting in some hacks, warming up in the field, and, most of all, staying healthy. That was Baez’s first home run of the Spring and 1 of 50 I expect him to launch this summer. Next Post Next post:Kyle Schwarber Did It Again: Another Spring Training Broken Windshield!